To reproduce this issue install the NoScript extension via Firefox Add-ons. Once install click the NoScript icon near the Search entry and choose Options, which uses tabs. Although you will see none. 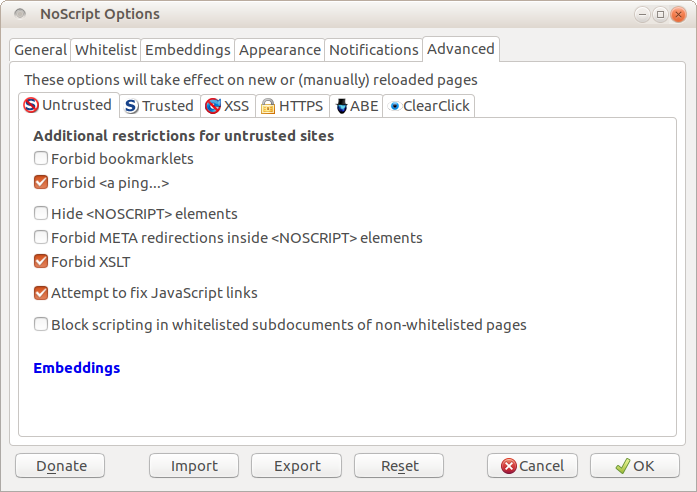 The attached screen shot shows how the NoScript Options should look once fixed. As I just discovered & noted in https://bugzilla.mozilla.org/show_bug.cgi?id=1306425#c10 , this doesn't actually require any Firefox add-ons -- you can reproduce it in Firefox's "Certificate Viewer" UI, too. Anyway -- I'm glad we've got a fix in the pipeline here! Thanks, Martin!